Citroen have revealed the stunning DS5 and have made an even more beautiful sports beast to add to the DS line-up. Body style is somewhat like that of Audi's 'Sportback' styles however Citroen class this body style as 'the DS5', yup, no specific style, just it's very own. Personally I think it's very reminiscent of the Bentley concept Fastback. Regardless of name, what's important is that it is one sexual looking machine, both inside and out. Oversized air intakes, raised angles and typical DS styling brings the DS5 neatly inline with the 3 and 4 models, offering a choice in size and comfort to the customer when buying their DS. 19" alloys underneath muscular blown arches give the DS5 an added kerb appeal, finished off with chrome highlights throughout and a new signature LED headlamp design. 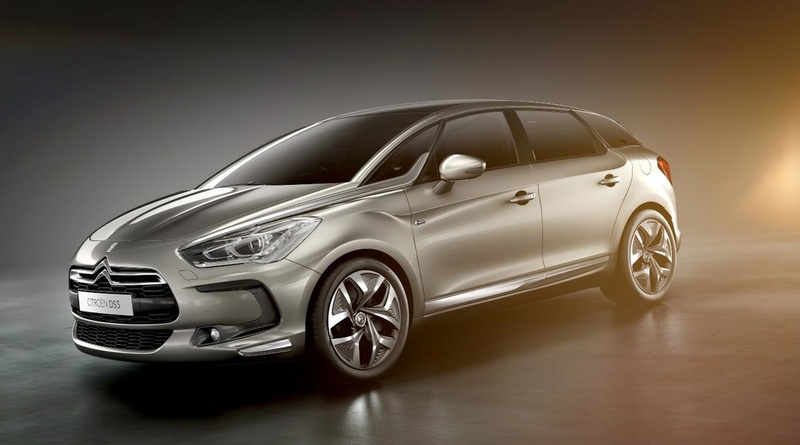 Inside the DS5 is very true to an individual form that the DS brand is known for. Driving position is very coupé orientated with a driver focused cockpit design. Leathers and moulded door sills bring a quality finish and house the integrated sat-nav, button panels and gear lever and with an array of technologies including a colour HUD (heads-up display) the DS5 is definitely one to watch.